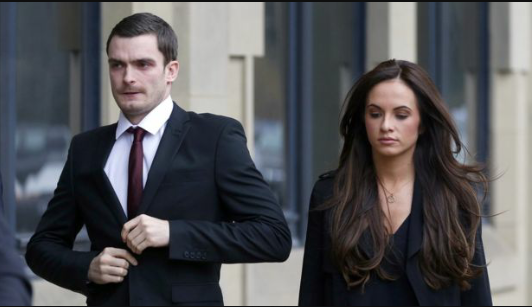 Ex- Premiership footballer Adam Johnson will arrive at Bradford Magistrate’s Court tomorrow morning to hear the Judge’s final comments on his case before the jury deliberate. Over the weekend bookies slashed the odds-on Johnson getting ‘sent down’ but after sparking a huge amount of interest from prisons which have teams in the English Prison Football League (EPFL); the question on everybody’s lips is: which prison will he be sent to? Philomena Todger, governor of HMP Wakefield, is delighted by the fact they may house Johnson within her walls. But geography is playing an important part of where Johnson is sent. HMP’s Northumberland and Durham both believe they are in with a shout considering Johnson still played for Sunderland even whilst being investigated. The practice of allowing jailed footballers who’ve to play for the prison teams came about in 1990 when Tony Adams, serving 56 days for drunkenly riding endangered turtles in a zoo, helped HMP Chelmsford win the league title only playing four games. But should take the crime of which the prisoner has committed be considered? Unlike jailed footballers Joey Barton, who ignored one-way street signs, or Jermaine Pennant, who illegally hunted badgers; Johnson’s crimes are far more serious. Dr Lubesheath also referenced the 2014 undercover report at HMP Manchester which found the prison treated their football team with unfavourable fairness, including having other inmates forced to massage players, unlimited use of social media and frequent trips to Hollywood Bowl after match wins. They also allowed the team to train at Manchester United’s Carrington training complex to prepare for a cup final tie against HMP Leeds. Minister for prisons, Sedgeway Arsebleach MP, has ordered a review of the prison sport system and will take his findings to a parliamentary meeting next Wednesday. This entry was posted in Humour and tagged City, crime, Football, Humour, Manchester, Prison, Sport by The Manchester Insider. Bookmark the permalink.